We all would love to have sparkling, white smiles, but unfortunately, our teeth don’t often stay as white as we would like them to without a little extra help. But, the good news is that it’s easy to get the beautiful, sparkling white smile you’ve always wanted with professional teeth whitening. 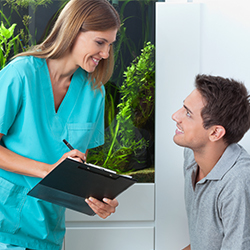 When conducted in a professional dental office, teeth whitening is one of the safest and most effective ways to make your smile brighter and more attractive. 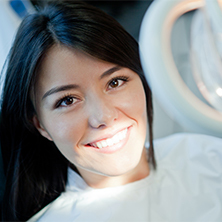 It’s also one of the most affordable cosmetic dental procedures available. Different whitening methods will get you different results, and professional teeth whitening that is done in the office can whiten your smile anywhere from three to eight shades in just an hour! There is, of course, always the option to buy a whitening kit at the grocery store, but professional whitening will get you faster results, and it will provide better protection to the tooth-root surfaces and sensitive gum tissue. Before getting your teeth whitened, it’s always recommended that you first get an oral exam to ensure that your tooth discoloration is just a surface issue, and not a sign of a dental condition that needs to be treated. 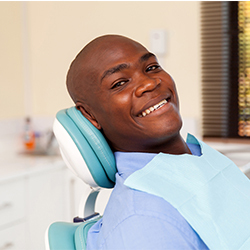 If you have any questions or concerns about which whitening method is right for you, your dental exam is a great time to go over them with your dentist. With professional whitening in our Salisbury dental office, you’ll enjoy the benefits of using high-concentration bleaching gels that you cannot get over the counter. In-Office Whitening — If you’re looking for the fastest, most effective whitening method, in-office whitening is the way to go. We’ll first cover your tooth-root surfaces and gums with a protective barrier, and we’ll use a retractor — a thin, plastic device — to keep your cheeks and lips safely away from your teeth. Then, our cosmetic dentist will apply a professional-strength hydrogen peroxide gel to your teeth. The gel will stay on your teeth for about an hour, and once it’s removed, you’ll see noticeable results right away. Take-Home Whitening — This is the second-most effective way to whiten your teeth, and it’s a much better alternative to the whitening kits you can find at the drug store or grocery store. However, keep in mind that take-home whitening takes longer than in-office whitening; it may take up to several weeks before you get the results you want. We’ll make a custom tray for you using a mold of your teeth. 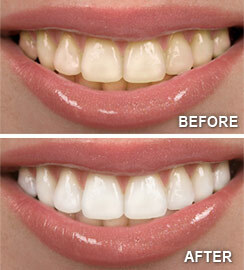 Those trays will be filled with a whitening gel, and are typically left in place for about an hour at a time. No one wants to go through all of the trouble of whitening their teeth only to watch the results fade away after just a few months. Luckily, there are many things you can do to keep your teeth white longer. 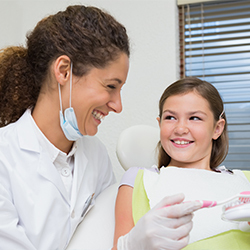 Always make sure that you are maintaining a healthy dental care routine, including brushing and flossing twice per day, and going in for your routine dental examination and cleaning every six months. It’s also a good idea to avoid foods and drinks that can stain your teeth, including coffee, tea, and wine. If you smoke, it’s a good time to consider quitting. Additionally, you can always touch-up your white smile with a take-home kit or by stopping by our dental office here in Salisbury. A white, beautiful smile has a powerful subconscious impact on the people around you, making you appear warm, happy, inviting and radiantly healthy. Stunning, white smiles are something we all want, and luckily, you can achieve that kind of smile with a successful, affordable and safe treatment option — teeth whitening. Read the article to learn more! 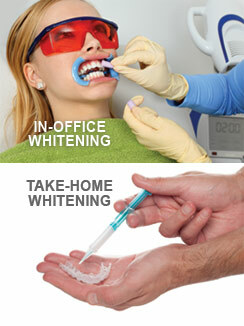 Do you have questions or concerns about teeth whitening? Whether you’re wondering about different whitening methods or about the safety of teeth whitening, this Dear Doctor article will help you find the answer you need. Teeth whitening is a relatively affordable and highly effective way to enjoy a brighter, more beautiful smile. And, while there have been many studies that prove that whitening products are safe when you use them as directed, there are a few things you’ll want to know about teeth whitening before you get started.